Designed using a seamless knitted liner, the Portwest Flex Grip Handling Nylon Gloves A174 provide comfort and flexibility that is ideal for a range of application. 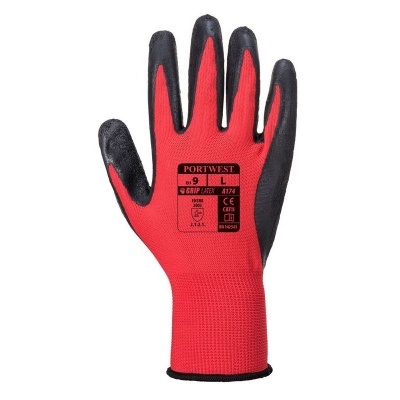 In utilising a waterproof latex coated palm the Portwest A174's provide excellent grip in both wet and dry conditions, while the anatomical ergonomic design allows for increased comfort while reducing the potential for fatigue while working. The highly adaptable Portwest A147 Nylon Gloves are suitable for both wet and dry environments meaning they can be used in a variety of situations from bricklaying to scaffolding. The Portwest Flex Grip Handling Nylon Gloves A147 are available in five separate sizes making them suitable for most users.